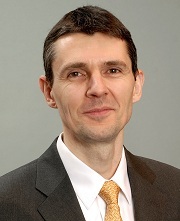 Urban J. Jermann is the Safra Professor of International Finance and Capital Markets at the Wharton School. He holds a Ph.D. from the Graduate Institute of International Studies in Geneva Switzerland. He is a Research Associate at the National Bureau of Economic Research, and he is Editor of the Journal of Monetary Economics and is (or has been) on the editorial boards of the Journal of Monetary Economics, the Review of Economic Dynamics, the Journal of International Economics, and the B.E. Journals in Macroeconomics. Jermann’s research is on macroeconomic fluctuations, asset prices, and international portfolio choice. He has published in top academic journals including American Economic Review, Econometrica, Journal of Political Economy, Journal of Financial Economics, Journal of Monetary Economics.